Online poker players in the state of New Jersey have had to sit back and watch as the state of Nevada bests them again. Players in Nevada have had access to online poker options for months now and the state of New Jersey has yet to launch their real money online poker option. However, the state has now announced the live date for launch has been set for November 26th of this year! The rules of regulation have been completed and software agreements are in place so all that is left for players to do is wait for sites to go live. The official date for game play in the 26th and players could not be happier. Those living in the state and those visiting will be able to access game play. Real money poker can only be enjoyed by those who are physically in the state. 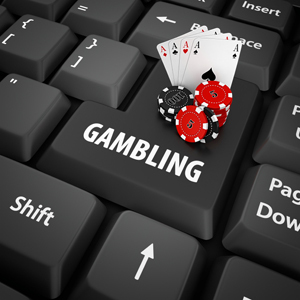 On the 21st of this month the state will put the official gaming regulations into effect. Any changes that are not included in the initial stages will be added by October 28th. As part of the full online launch in the state, sites must conduct a soft play period. This testing phase will last for five days before the official launch. Invited players will be the only gamers allowed to log on and try out the software before the option goes live to everyone. After soft play, if the security expectations are met and the systems are approved, players will be able to log on beginning at 9am on the 26th of November. There will be several sites in the state and it will be interesting to see how they stack up against the competition in the state of Nevada, which offers only two sites that are restricted to online poker.